During the Holidays, our local dollar store is aflutter with treasures that make my heart skip a creative beat. 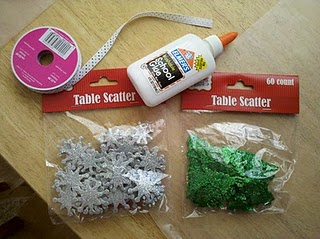 On a recent trip, I was able to score some fantastic glittered table scatter for only $1 per packet. 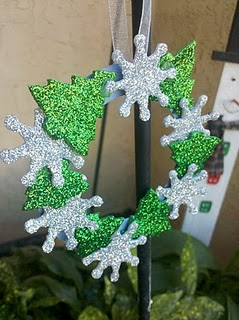 The kids made these simple Christmas ornaments using the table scatter. 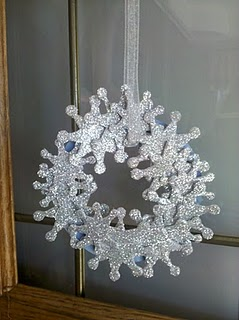 I was amazed at how easy this simple Christmas ornament craft turned out. 1. 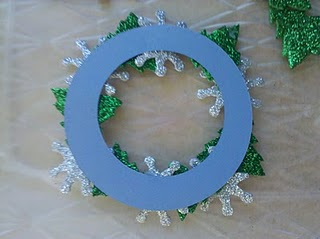 Using scissors, cut out a circle “ring” from cardstock. Cut out the center, leaving about 1 inch width as shown below. 2. 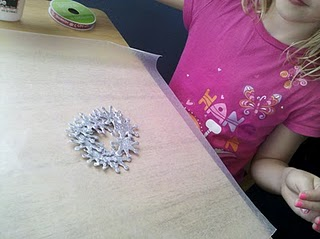 Glue the individual pieces of table scatter onto the the paper ring. 3. Punch a hole in the cardstock, thread a length of ribbon through and tie it off, creating that hanging ornament. Hang on your tree and enjoy! Optional: Cut out a favorite photo to place behind the ornament and create a photo ornament keepsake! Michelle lives in California with her husband and two young children. She is a 4 year uterine cancer survivor, thankful to God to be able to cherish every moment with her family. 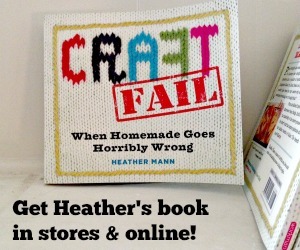 She is also an avid crafter and a former preschool teacher. Michelle has a passion for early childhood education and parenting and seeks to encourage and inspire other moms as they encounter their everyday lives- sharing her crafts, tips, ideas, and her contagious enthusiasm!Visit Michelle at her site Muffin Tin Mom, home of Muffin Tin Monday, and on Facebook at Muffin Tin Meals. Follow her on Twitter: @muffintinmom. 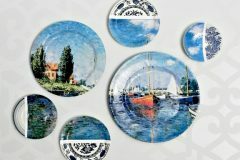 Cute and inexpensive wonderful!!! good idea especially if you have a group of kids…maybe pre-school or Sunday school class…could help keep the little ones occupied at a Christmas party. 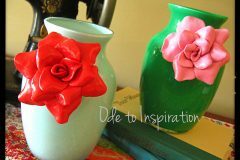 I have a fun dollar store craft on my website. They have little relish dishes and candlesticks that made a little candy stand. 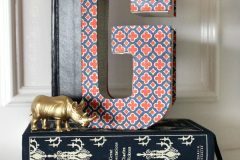 In addition to seeing a cute and easy craft, I figured out how I want to top the candle table scape I’m creating as a gift. I’m going to glue the leaves, etc to a plate but was trying to figure out how to do it up to the candle but make it smooth. 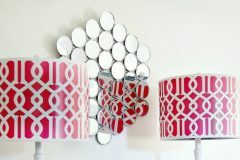 I’m going to cut a circle like yours and sparkle it up…now I have to get more creative. lol Thanks for sharing!